When you imagine the ideal chatbot, what do you picture? The bot in your mind’s eye may resemble something along the lines of blockbuster movie favorites like Baymax from “Big Hero 6,” “Wall-E’s” EVE, or my personal hero, C-3PO. You probably didn’t imagine a small tower that lives on your shelf, like Alexa; a virtual being that resides in the cloud and is accessed through your smartphone, like Siri; or even a pop-up chat window on your computer screen that can answer questions about your favorite products. Besides their looks, there’s another major difference between today’s artificial intelligence (AI) and our movie favorites: Our most beloved fictional chatbots all possess emotional intelligence (EI). As we move into the future, AI needs humanizing qualities to improve the way it interacts with us, meets our needs for information, and even controls the other technology around us. Especially as companies begin to use chatbots for customer service and sales, there’s no way around it–AI needs to get emotionally smarter. If you think about it, the majority of communication is not in the words we speak, but in the subtext, tone, and body language of the speaker. When someone can’t find the right thing to say, other factors help relay what words cannot. Voice inflection, hand motions, and facial expressions all play a role in how we interpret the messages we receive. While critics might scoff at the humanized versions of chatbots in movies, these sci-fi portrayals may be closer to what the world—and especially the business world—needs than walking, talking computers. I don’t know about you, but I, for one, am ready to form a relationship with AI, a relationship of information sharing, collaboration, and unparalleled productivity. Emotionally intelligent AI can vastly improve how we work, addressing our needs before we even speak them. If you’ve ever gotten irritated with Siri or Alexa for failing to understand your command, you know what I mean. Imagine a chatbot that combines data with an emotional response to understand your unique needs and respond to them with flawless intelligence. This new technology isn’t far off. Advancing technologies continue to make AI bots more and more human. Machine-learning-based programs such as Affectiva’s first computer use cameras to detect and learn human emotions. The camera identifies facial features, classifies expressions, and maps them onto emotions such as happiness, surprise, anger, and disgust. A company called Cogito is analyzing voice calls between customers and agents to learn how AI can become more humanlike. Ultimately, Cogito hopes to integrate robotic agents that can pass for human. Real-time speech reaction algorithms can gauge how humans talk, and eventually transfer this knowledge into chatbots. There’s no doubt in my mind that chatbots will one day be able to carry on deep intellectual conversations with users that go well beyond simply regurgitating data. Chatbots will “think,” talk, and act more humanlike, reading a user’s tone of voice, body language, and facial expressions to adjust its output accordingly. Chatbot-enabled self-driving vehicles will serve as therapists to talk to on long commutes, and virtual agents will take care of customer problems with empathy. But it’s AI in the workplace that really has me excited about EI chatbots. Solve problems more efficiently. A computer with emotional capabilities could be the world’s best problem solver. Not only could a chatbot come up with data-supported solutions to issues, but it would also tailor the solution to the emotional presence of the user. It would understand if the worker needs a “quick-fix” or is in a position to take time to implement a more complicated, long-term solution. Improve customer service. Chatbots can assist customers and eliminate virtual waiting rooms. Customers can speak to emotionally enabled chatbots to complain about product problems, seek answers to questions, and settle disputes. Chatbots will remain unflappable in the face of customer abuse, and say the right thing to diffuse the situation. They can provide immediate workarounds to customer service problems, as well as long-term solutions—and determine which solution is necessary at the time. Your company could deliver improved customer service at all hours, with no human error or human ego to get in the way. Increase response time. Chatbots can respond automatically to changing situations, analyze the problem, and come up with a solution right away. Your brand won’t miss out on major opportunities and will be able to optimize business in real time to keep up with the competition. Maximize efficiency. An emotionally smart chatbot do many of the same things a human employee can do, without ever needing a lunch break or paid time off. Best of all, with chatbots managing the more mundane tasks, along with customer service and data analysis, your top employees are free to perform their core competencies with creativity and efficiency. As AI becomes more ubiquitous, society needs chatbots to become emotionally intelligent if they are to be used to their full capabilities. 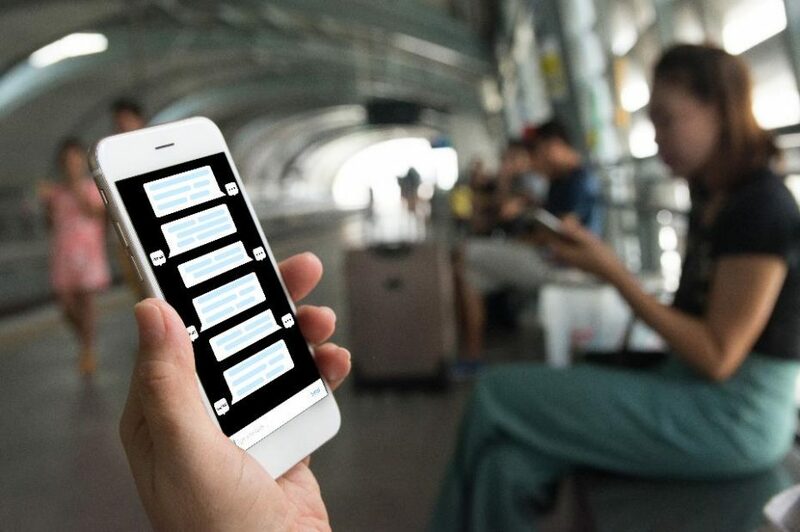 Humanizing the chatbot is the next step toward a more connected and integrated future. Blending technology with human capabilities such as emotion and empathy can revolutionize the workplace and other facets of life. In my opinion, smarter AI is one of the most exciting prospects of the future. I mean, who wouldn’t want their own C-3PO? Sign me up.